I'd been saying for a couple of years that I wanted to spend some time looking for gulls on the Mississippi River. I finally made it out for my first visit to Lock & Dam 15 on Saturday. L&D 15 sits between Rock Island, Illinois and Davenport, Iowa. I was pleased with the set up on the Iowa side of the river and so spent most of my 3+ hours there. Lock & Dam 15 is famed for being the largest "Roller Dam" in the world. 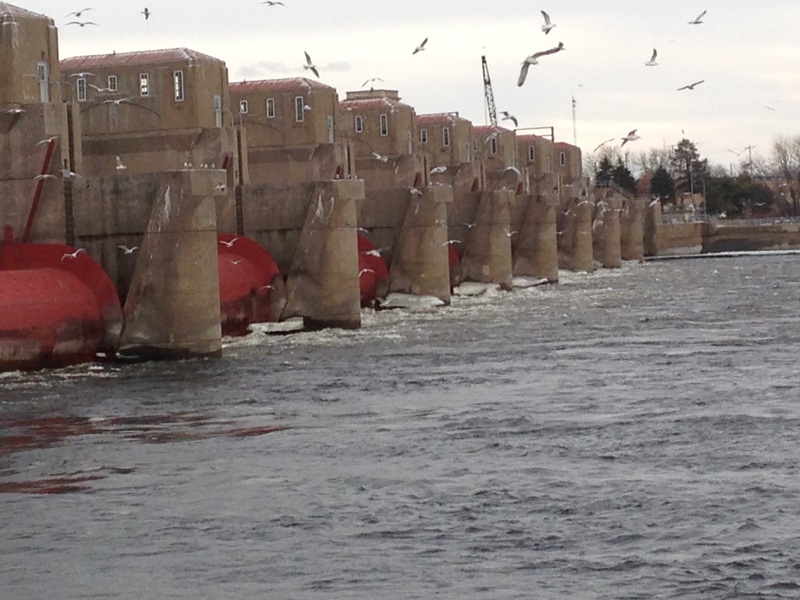 There were eagles (~25) patrolling the dam, but that didn't seem to bother the gulls at all. I suppose this has much to do with the abundant food in supply for both the gulls and the eagles. Adult Thayer's. Davenport, IA. 17 Jan 2015. First Cycle Thayer's. Davenport, IA. 17 Jan 2015. Three Thayer's in this frame. Can you find them all? First cycle Thayer's. Photos 1 of 6. Adult Glaucous. Photos 1 of 3. Thayer's Gull (2nd/3rd cycle type). The mostly black bill with yellow tip is unique. Most of the river near the dam was completely ice free and the temperature was in the low-mid 40s. I'm looking forward to making it back out here before the end of the season.